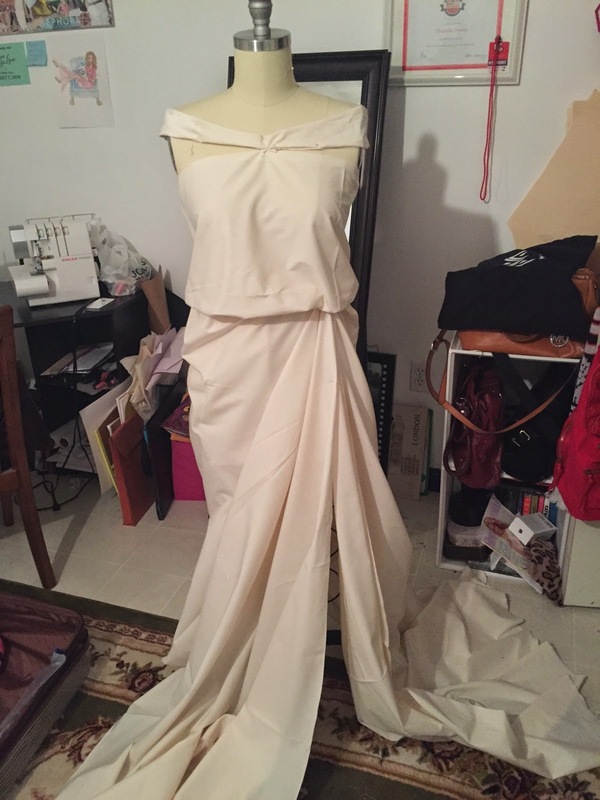 I love draping! 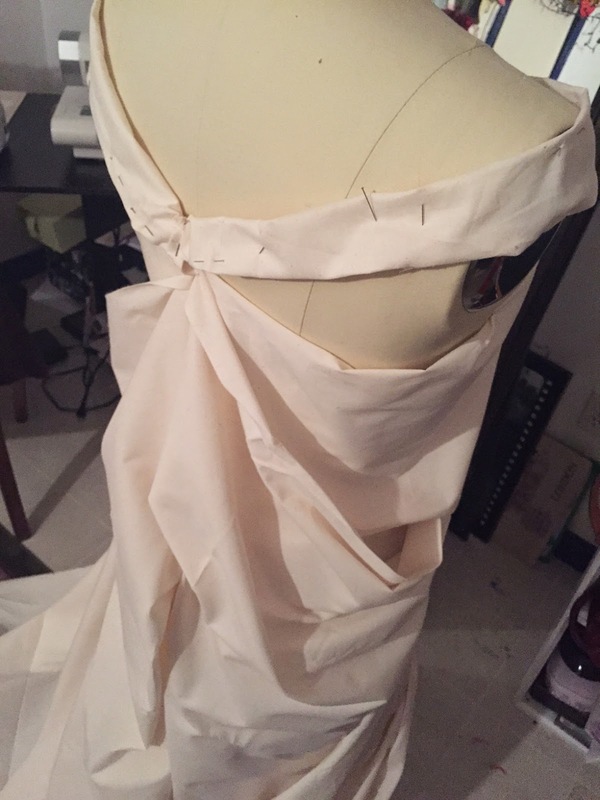 Pattern making isn't my favorite thing to do...but draping I love! This is one, about 5 yards, piece of fabric (other then the shoulder pieces which are two pieces of fabric). I love creating nothing into something! For school we have to make a 1920's couture dress and this is something like I sketched that I wanted to do. It flows more on the bottom but because I didn't have enough fabric and it's the wrong length of fabric I had to work with what I had. The dress is probably going to be white with white lace covering it. I'm going to add beads and rhinestones to it as well to add some sparkle, of course! I can't wait to make it and see how it looks in the end! It's going to take a while to do but it will be work it in the end. I will keep you in touch with my couture adventures and more! But first here are the draping pictures and my illustrations at the end of this post. The middle dress is the one I'm going to make! DIY Halter Top & LookBook! What's In My Purse & Beauty Haul!